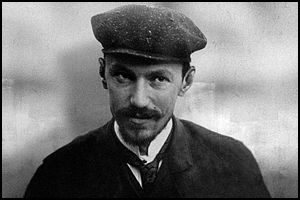 Vyacheslav Menzhinsky, the son of a Polish lawyer, was born in St. Petersburg, on 19th August, 1874. He graduated from the Faculty of Law at Saint Petersburg University in 1898. Menzhinsky joined the Social Democratic Labour Party in 1902. When the organization split in 1903 he became a Bolshevik under the leadership of Lenin. Menzhinsky was arrested in 1906 but he managed to escape and lived in Europe for the next eleven years. During this period he was a member of the editorial board of Vpered and joined a faction within the Bolsheviks that included Anatoli Lunacharsky, Alexander Bogdanov, Mikhail Pokrovsky, Grigory Aleksinsky and Martyn Liadov. According to Leon Trotsky, who met Menzhinsky in 1910, "He belonged to the group of the extreme left, or the Vperyodovists, as they were called from the name of their paper. Menzhinsky himself inclined to French Syndicalism... The impression he made on me could best be described by saying that he made none at all. He seemed more like the shadow of some other unrealized man, or rather like a poor sketch for an unfinished portrait." In July 1916 Menzhinsky attacked Lenin in an anonymous article published in an emigre newspaper, Our Echo: "Lenin is a political Jesuit who over the course of many years has molded Marxism to his aims of the moment. He has now become completely confused.... Lenin, this illegitimate child of Russian absolutism, considers himself not only the natural successor to the Russian throne, when it becomes vacant, but also the sole heir of the Socialist International. Should he ever come to power, the mischief he would do would not be much less than that of Paul I (the Tsar who preceded Alexander I). The Leninists are not even a faction, but a clan of party gypsies, who swing their whips so affectionately and hope to drown the voice of the proletariat with their screams, imagining it to be their unchallengeable right to be the drivers of the proletariat." After the overthrow of Nicholas II, the new prime minister, Prince Georgi Lvov, allowed all political prisoners to return to their homes. Menzhinsky returned to Russia where he took part in the October Revolution. Lenin appointed Menzhinsky as People's Commissar of Finance. According to David Shub, the author of Lenin (1948), Lenin told him: "You are not much of a financier, but you are a man of action." The Russian historian, Edvard Radzinsky, has argued: "After October he was made People's Commissar of Finance, but created such chaos that he was quickly removed. Then, in 1919, Lenin suddenly remembered that Menzhinsky was a lawyer and found a suitable place for him in the senior ranks of the Cheka." Menzhinsky worked under Felix Dzerzhinsky the head of the All-Russian Extraordinary Commission for Combating Counter-Revolution and Sabotage (Cheka). As Dzerzhinsky explained in July 1918: "We stand for organized terror - this should be frankly admitted. Terror is an absolute necessity during times of revolution. Our aim is to fight against the enemies of the Soviet Government and of the new order of life. We judge quickly. In most cases only a day passes between the apprehension of the criminal and his sentence. When confronted with evidence criminals in almost every case confess; and what argument can have greater weight than a criminal's own confession." In 1922 Cheka became known as All-Union State Political Administration (OGPU). On the death of Felix Dzerzhinsky in 1926, Menzhinsky became the new head of the organization and played an important role in the Red Terror. It has been argued by Edvard Radzinsky, the author of Stalin (1996): "Though Menzhinsky had a hand in all the dreadful deeds of the Red Terror, he fastidiously absented himself from the torture chamber and from executions... 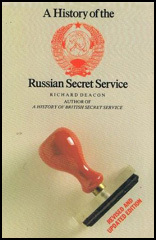 He became the effective head of the Bolshevik secret service." One OGPU official admitted: "We have executed some twenty or thirty thousand persons, perhaps fifty thousand. They were all spies, traitors, enemies within our ranks, a very small number in proportion to the persons of this kind then in Russia. We instituted the red terror at a time of war, when the enemy was marching upon us from without and the enemy within was preparing to help him. Scotland Yard executed spies and traitors also in war time." In November, 1929, Stalin decided to declare war on the kulaks. The following month he made a speech where he argued: "Now we have the opportunity to carry out a resolute offensive against the kulaks, break their resistance, eliminate them as a class and replace their production with the production of kolkhozes and sovkhozes… Now dekulakisation is being undertaken by the masses of the poor and middling peasant masses themselves, who are realising total collectivisation. Now dekulakisation in the areas of total collectivisation is not just a simple administrative measure. Now dekulakisation is an integral part of the creation and development of collective farms. When the head is cut off, no one wastes tears on the hair." On 30th January 1930 the Politburo approved the liquidation of kulaks as a class. Vyacheslav Molotov was put in charge of the operation. According to Simon Sebag Montefiore, the author of Stalin: The Court of the Red Tsar (2003), the kulaks were divided into three categories: "The first category… to be immediately eliminated; the second to be imprisoned in camps; the third, 150,000 households, to be deported. 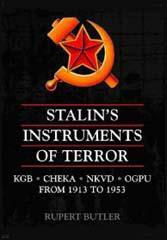 Molotov oversaw the death squads, the railway carriages, the concentration camps like a military commander. Between five and seven million people ultimately fitted into the three categories." Thousands of kulaks were executed and an estimated five million were deported to Siberia or Central Asia. Of these, approximately twenty-five per cent perished by the time they reached their destination. Robert Service, the author of Stalin: A Biography (2004) has argued: "Stalin gave rulings on the use of concentration camps not just for the social rehabilitation of prisoners but also for what they could contribute to the gross domestic product in regions where free labour could not easily be found. He had never been reluctant to contemplate such camps as a central component of communist party rule; and he did not flinch from ordering arrests and ordering OGPU chief Vyacheslav Menzhinsky to create the permanent organisational framework." Menzhinsky suffered from acute angina and by the late 1920s Joseph Stalin tended to deal with his first deputy Genrikh Yagoda. As Roy A. Medvedev, the author of Let History Judge: The Origins and Consequences of Stalinism (1971), has pointed out: "Menzhinsky decried the tendency to make the GPU a private power base of a few individuals, but he was sick for long periods and rarely interfered in the day-to-day activity of the GPU. The real boss by the late twenties was his deputy, Yagoda, who was strongly influenced by Stalin." Vyacheslav Menzhinsky died on 10th May, 1934. Genrikh Yagoda confessed to having poisoned Menzhinsky in his trial in 1938. However, this information was obtained during his trial where he was accused of being involved in a plot with Leon Trotsky, Nickolai Bukharin, Alexei Rykov, Nikolai Krestinsky and Christian Rakovsky against Joseph Stalin and many historians believe it to be untrue. Lenin is a political Jesuit who over the course of many years has molded Marxism to his aims of the moment. He has now become completely confused.... Lenin, this illegitimate child of Russian absolutism, considers himself not only the natural successor to the Russian throne, when it becomes vacant, but also the sole heir of the Socialist International. Should he ever come to power, the mischief he would do would not be much less than that of Paul I (the Tsar who preceded Alexander I). The Leninists are not even a faction, but a clan of party gypsies, who swing their whips so affectionately and hope to drown the voice of the proletariat with their screams, imagining it to be their unchallengeable right to be the drivers of the proletariat. He (Vyacheslav Menzhinsky) belonged to the group of the extreme left, or the Vperyodovists, as they were called from the name of their paper. Menzhinsky himself inclined to French Syndicalism... The impression he made on me could best be described by saying that he made none at all. He seemed more like the shadow of some other unrealized man, or rather like a poor sketch for an unfinished portrait. Meanwhile, the job of creating some sort of order out of chaos was proceeding. Requisitions and confiscations were in full swing. But it was necessary to get control of the banks. A decree to that effect was issued. To carry out the seizure, Lenin appointed Menzhinsky Commissar of Finance. "You are not much of a financier," Lenin told him, "but you are a man of action." "The appointment was made late in the evening," writes Bonch-Bruyevich. "Menzhinsky was extremely tired from overwork. In order to put the government's order into immediate execution, he personally, with the aid of one of the comrades, brought a large sofa into the room, placed it by the wall, wrote in big letters on a sheet of paper: 'Commissariat of Finance', tacked it over the sofa, and lay down to sleep. He fell asleep at once, and his even snoring spread over the Sovnarcom executive office.... Vladimir Ilyich read the inscription, looked down at the sleeping Commissar, and burst into peals of good-natured laughter, saying it was excellent that the commissars began by replenishing their energies."